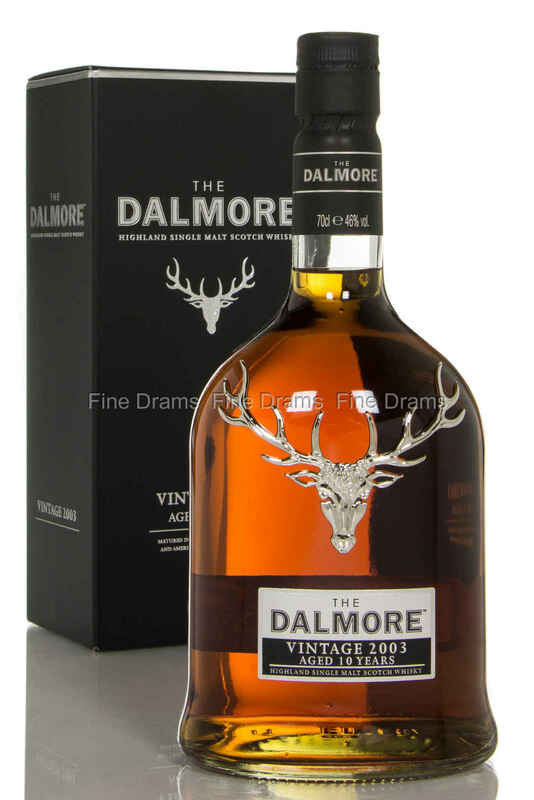 Matured in 30 year old Matusalem Oloroso sherry Butts and American oak ex-bourbon barrels, this vintage 2003 bottling of the Dalmore single malt is quite interesting. To provide this expression its full body and character, it has been bottled at 46% ABV. This bottling has been selected and specially bottled just for Europe.